All Fired Up Akron | Paint, Create, Celebrate! 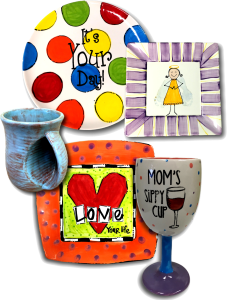 All Fired Up is a Paint Your Own Pottery and Creative Arts Studio that has called the Akron and Montrose/Fairlawn area home for 15 years! 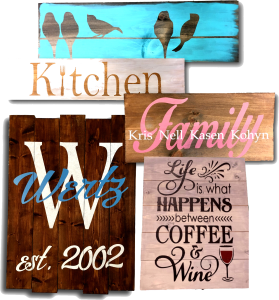 We offer a variety of creative projects for artists of any skill level or age, including pottery painting, glass fusing, canvas painting and more! 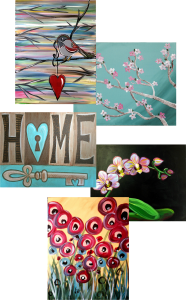 We offer a large selection of stamps, silk screens, and ideas to help you create! We have “All-Inclusive” pricing, so each project includes your studio time, paint, glazing and finishing. 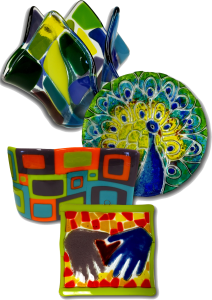 Pottery and Glass Fusing projects will be ready one week from your visit, while other projects can go home the same day! Walk-Ins and reservations are welcome. Celebrate birthdays, holidays, scouts, office parties, and other special events at All Fired Up! We offer a Private Party Room and special pricing for our guests. We are open 7 days a week to accommodate any schedule and we look forward to creating with you!